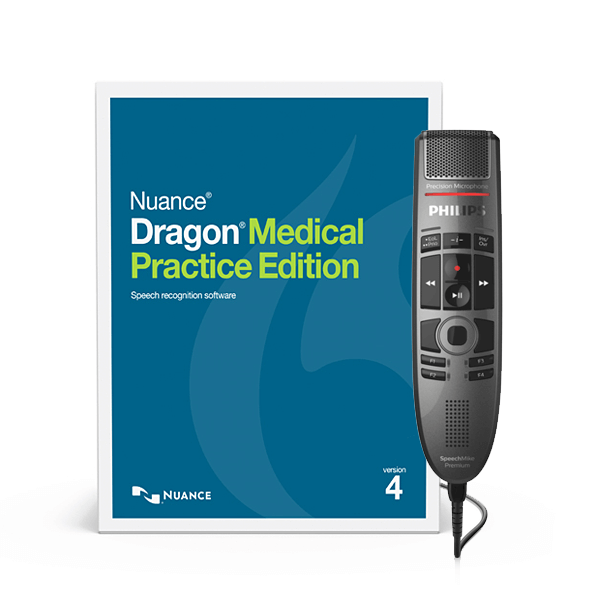 Powered by the latest in speech recognition technology, Nuance Dragon Medical Practice Edition 4 achieves 99% accuracy out of the box without voice profile training – significantly outperforming previous versions. Boost documentation efficiency for more time with patients: Quick and accurate performance allows clinicians to create text up to 5x faster than typing, improving EHR usability. Use voice to navigate, dictate and edit content inside EHR fields for increased productivity. Improve documentation quality to better inform care teams and administrative staff: More complete and accurate documentation not only provides richer patient details to the care team, but also ensures appropriate reimbursement for the care delivered. Save money, speed up turnaround time, grow revenue: When clinicians create and self-edit their own documentation, data is available immediately and costs associated with transcriptionists are eliminated. When clinicians have time to see more patients, practice profitability can grow. 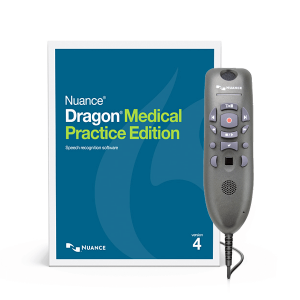 Cutting-edge technology brings efficiency to the clinic environment: Powered by a next generation speech engine, Nuance Dragon Medical Practice Edition 4 achieves 99% accuracy out of the box without voice profile training. Physicians and other health care providers navigate and dictate medical decision-making and treatment plans directly into a patient’s electronic record and spend less time typing or clicking in the EHR. Available for independent practices of 24 or fewer physicians, Dragon Medical Practice Edition is a locally-installed solution designed and priced especially for smaller practices that want to transform the documentation process. 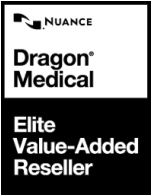 Superior speech recognition, amplified for medical use: Distinct from non-medical speech recognition, Nuance Dragon 4 Medical Practice Edition combines 90 medical specialty and sub-specialty vocabularies with acoustic models based on the unique way physicians speak – audio, syntax, style and structure – resulting in remarkable accuracy. 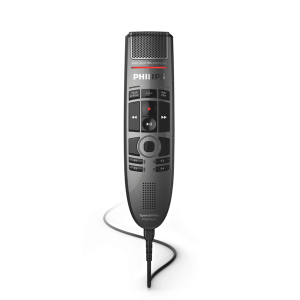 Advanced Deep Learning technology constantly learns and adapts to voice and environmental variations – even during dictation – to refine performance. Dictate for real-time speech to text or transcribe audio recordings to create clinical documentation. 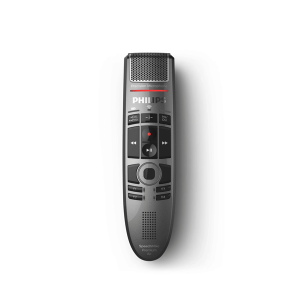 Simple setup, easy-to-use functions, dependable performance: In as little as 60 seconds, users gain access to uninterrupted, high-quality speech recognition even where reliable internet is not widely available – all with no profile training, and with dynamic microphone adjustment. Options and settings are consolidated into one easy-to-use dialog box for easy management of profile and auto-formatting options. A movable DragonBar provides easy access to popular features and automatically collapses when not in use. Customized macros for frequently dictated text can be created with a single voice command. Optimized for portable touchscreens: Along with high performance on modern desktop and laptop Windows computers, Dragon Medical Practice Edition delivers documentation productivity on the go through compatibility with Windows 10 touchscreen devices. Hybrid touch and keyboard interaction work seamlessly for controlling the DragonBar and other features. 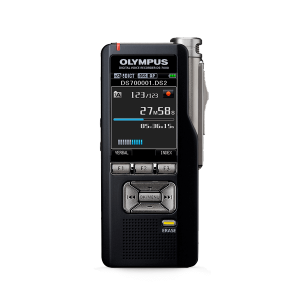 Functional compatibility: Dictate within applications and EHR textbox fields, or use the Dragon dictation box to compose content, insert auto-texts, navigate template fields, dictate and edit – and transfer text with a simple voice command. Use voice to interact with websites and web-based applications. Enhanced in-app help: Nuance Dragon 4 provides relevant, helpful tips during use, as well as easy access to popular help searches and topics. Accelerate proficiency and make the most of all available functionality. Medical focus delivers unparalleled accuracy: Refined for medical dictation and distinct from non-medical Dragon offerings, Dragon Medical Practice Edition is biased to a medical context for superior performance. More than 500,000 physicians worldwide use Dragon Medical solutions to document clinical records and dictate correspondence, making it the most widely trusted speech recognition solution for physicians. Our certified Dragon Medical Practice Edition 4 experts are standing by to answer your questions. Digital Download: Download Dragon Medical Practice Edition 4 and receive your license key(s) within 24 hours! License Retrieval: We will store a copy of your Dragon Medical license key(s) in case it gets misplaced! Replacement Media: If your installation disk ever gets lost we will replace the media for you at no charge! Video Training Guide: Upon your purchase you will be emailed a link to our comprehensive video training guide! 30 Day Money Back Guarantee: You may return Dragon Medical Practice Edition 4 if you are not completely satisfied! To learn more about how Dragon Medical Practice Edition 4 can help you improve financial performance, raise the quality of care and increase clinician satisfaction, please contact us at 1-888-831-0088.